Comprehensive turn key remodel by custom home contractor. New kitchen with granite countertops, new stainless appliances, completely remodeled bathrooms with high end finishes, new laminate flooring throughout the main floor, new Simonton windows, new siding, new entry doors, new gutters, new insulation in the walls and 16" thick certinteed insulation blown in attic providing high R value. New hot water heater, newly serviced furnace and central air! Washer and Dryer included in the new laundry room. This remodel has high quality finishes that are usually found in high end homes. 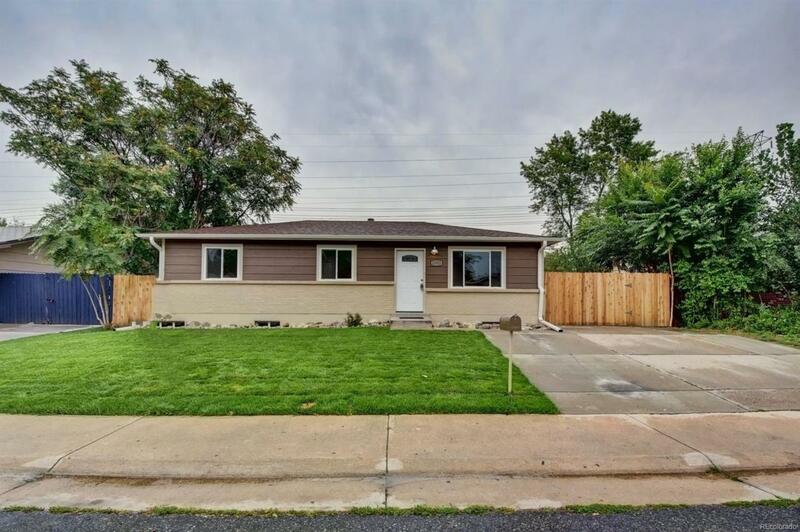 This beautiful house is perfect for the first time home buyer ready to move in with 5 bedrooms, 2 baths and a huge backyard. Backyard has access thru a large gate that can accommodate RV storage. Come See your home!